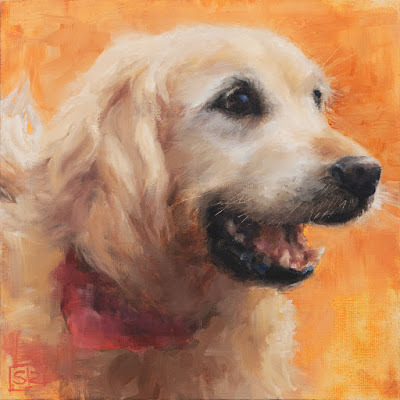 Jake, oil on canvas board, 8" x 8"
I’ve never had a pet dog, but after painting this smiling retriever I’m beginning to understand the appeal of a constant sunny disposition in a companion. My friends who have goldens truly adore them and Emma, my pet portrait winner, is no exception. 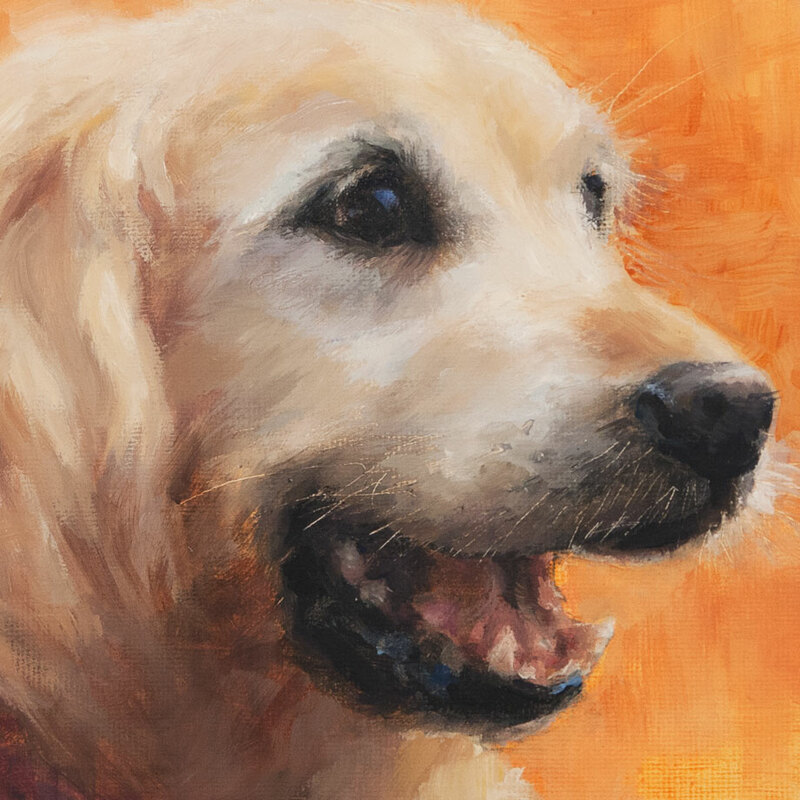 Even with a menagerie of pets at home, she chose her family’s aging golden retriever Jake to have his portrait painted. Jake’s character seemed so epitomized by his big toothy grin that I decided to brave it despite the challenges of painting an open mouthed smile. Emma had such a good selection of photos from different periods in Jake’s long life that although we’ve never met, I feel as though I’ve come to know him a little. And I’ve had welcome assurances according to various members of his human family that I managed to catch something of his personality in this little painting.